Hardly any solid red lines (cycle lanes). Lots of black (roundabouts) and blue (gyratories). 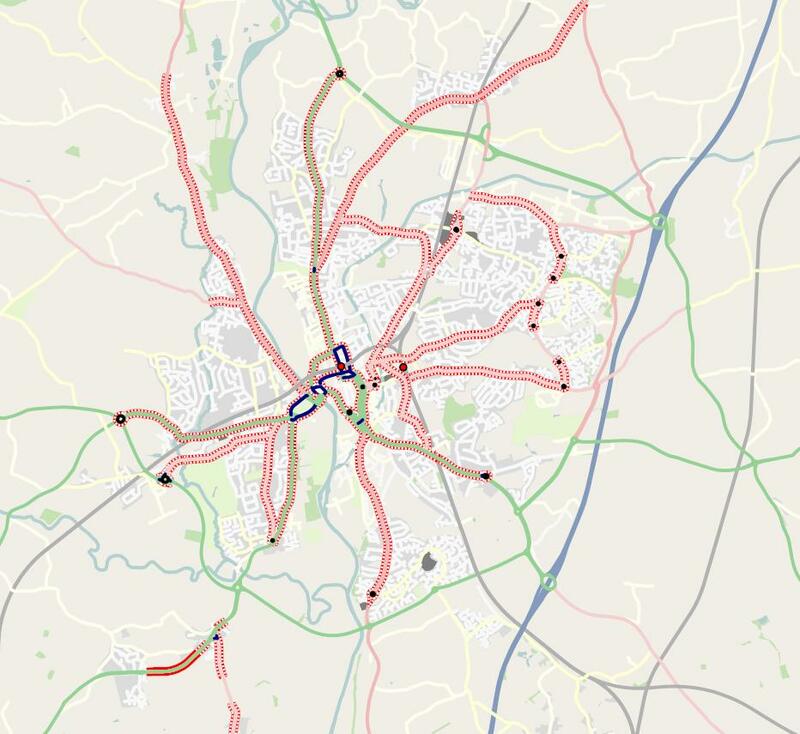 It’s clear that Worcester is the sort of place where young men might be brave enough to cycle, and some others will venture out on the quiet routes, but there will be little “everyday” cycling; the main roads don’t even begin to be cycle-friendly.